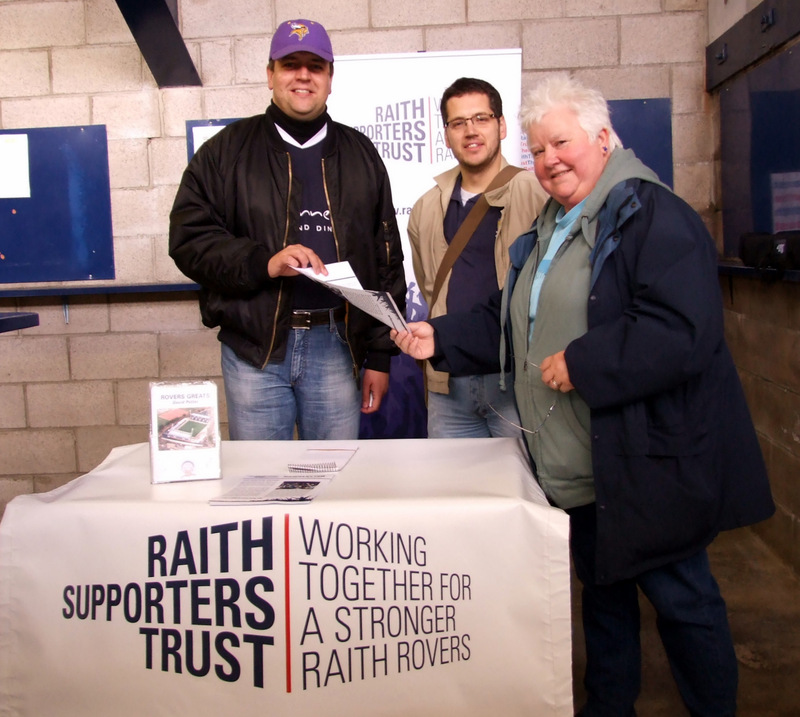 Renowned crime writer and lifelong Rovers supporter Val McDermid took a few moments on Saturday afternoon to visit the new-look Trust information point in the South Stand, and became our newest member. Val is currently promoting her latest book “Trick Of The Dark” and was very busy on Saturday – as well as visiting us she unveiled an advertising board to promote her new book. Trust membership is now back above 200 as membership renewals continue to come in. If you haven’t renewed already please do so… and if you’re not a member already why not sign up online or at our next home match?